This morning, on our way home from the grocery for all those last-minute items, we came across a live holiday music performance. A group of 30 or so people were walking down the street, stopping in front of businesses to play a holiday song or two. 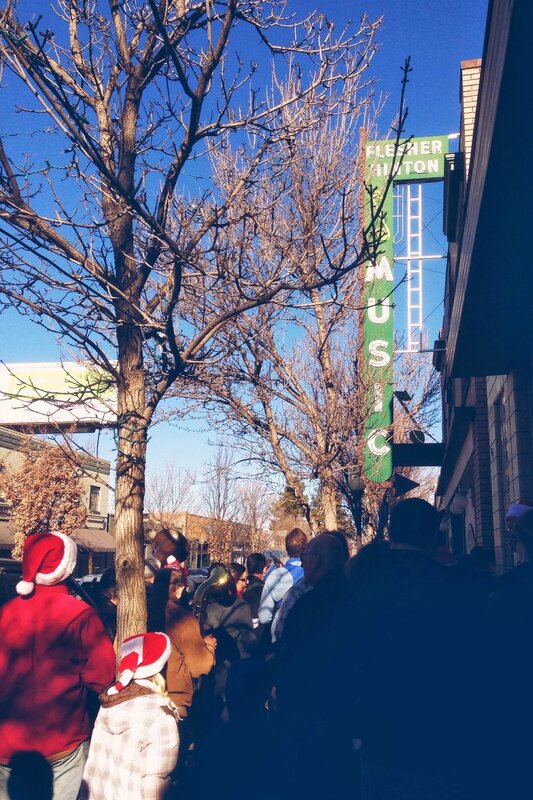 Apparently it was students and teachers from the local music store, who meet every year to play the songs they've learned and to spread holiday cheer. It was absolutely delightful! And just what I needed to get into the spirit. 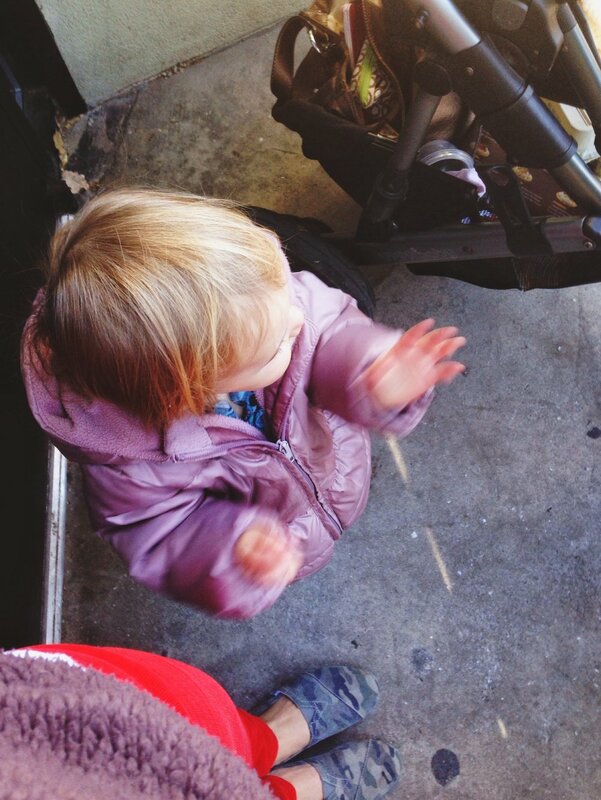 Willa loved it too; each time a song ended she'd dramatically sign and say "more! more! more!" Luckily, we caught it near the beginning so we got to hear several songs. We ran into a few friends as well, and the moment made me feel very grateful. For my family and friends. For this neighborhood. For getting to be a part of such a wonderful community. Family arrives soon and we're making this for dinner. Followed by many other delicious treats, obviously. Merry Christmas all!